Have you ever wondered what kind of tires work best in the snow? Do you wish you could test your skills in a safe environment? Or even see how many donuts you can make in one try? Bridgestone tires now offers a course were you can practice safe driving as well as test out your remarkable driving skills. 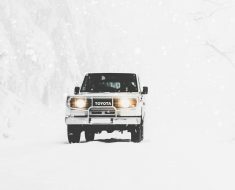 Whether you are new to the driving world, or a seasoned professional, this school will help you learn the tricks of surviving the harsh winter roads. The Bridgestone Winter Driving School offers three uniquely designed ice covered courses in Steamboat Springs, Colorado. The Bridgestone coaches are well-versed in all types of intense driving conditions. No one wants to have their car insurance rates go up by having an accident this winter. Take a look at the tips Bridgestone provides in order to help improve your automobile safety. For a free car insurance quote, visit www.safeauto.com. For more information on safe winter driving, check out Bridgestone’s winter driving brochure.